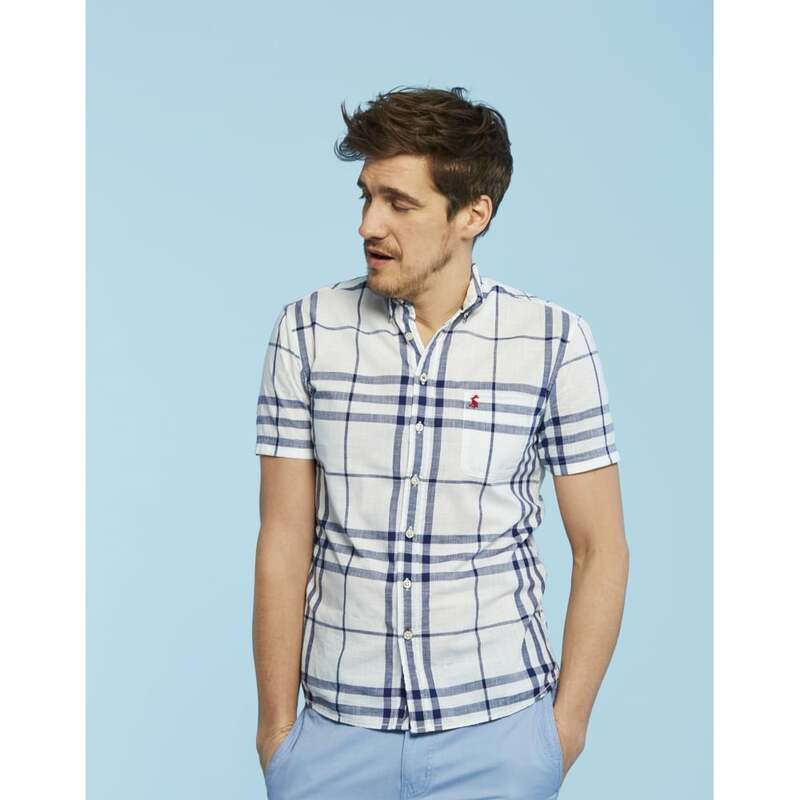 Classic in both style and fit, this short sleeved shirt is perfect for summer. This medium weight shirt has a added details of chambray trims, a curved hem and classic chest pocket. This looks great teamed with shorts, jeans or chinos for an ideal casual summer look.